Bush 41, who enthusiastically endorsed every Republican nominee for the past five election cycles, will stay out of the campaign process this time. He does not have plans to endorse presumptive GOP nominee Donald Trump, spokesman Jim McGrath told The Texas Tribune. Bush 43, meanwhile, "does not plan to participate in or comment on the presidential campaign," according to his personal aide, Freddy Ford. “What Ted did is a great thing to do because we want to bring unity to the Republican party,” Trump said in his victory speech Tuesday night. Although George H.W. Bush and George W. Bush have not critiqued Trump in so many words, they have made some veiled criticisms. At a campaign event for his brother Jeb Bush in February, Bush 43 noted that in his experience, "the strongest person usually isn't the loudest one in the room." And Bush 41's silence tells its own story. 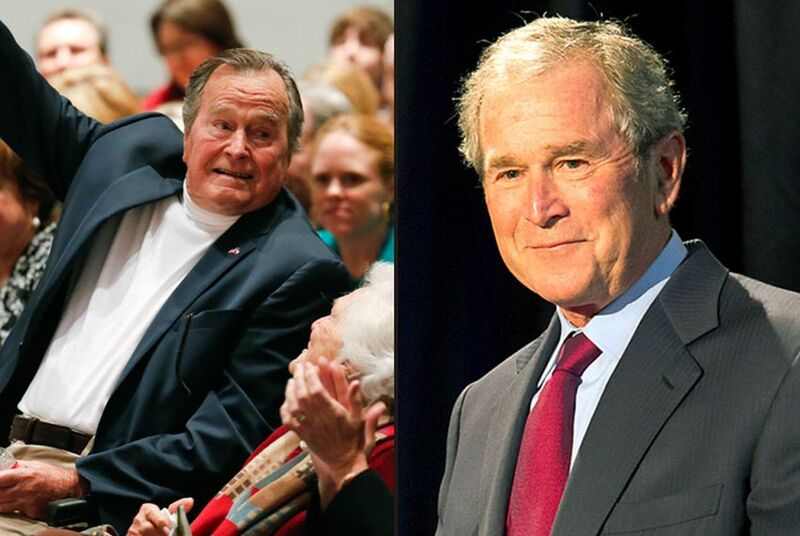 Meanwhile, Bush 43 also volunteered his services, saying of McCain, "If he wants my pretty face standing by his side at one of these rallies, I'll be glad to show up." "I'm for Mitt Romney," Bush 43 added later.